After decades of almost no interaction, relations between the two nations grow increasingly warmer and closer. 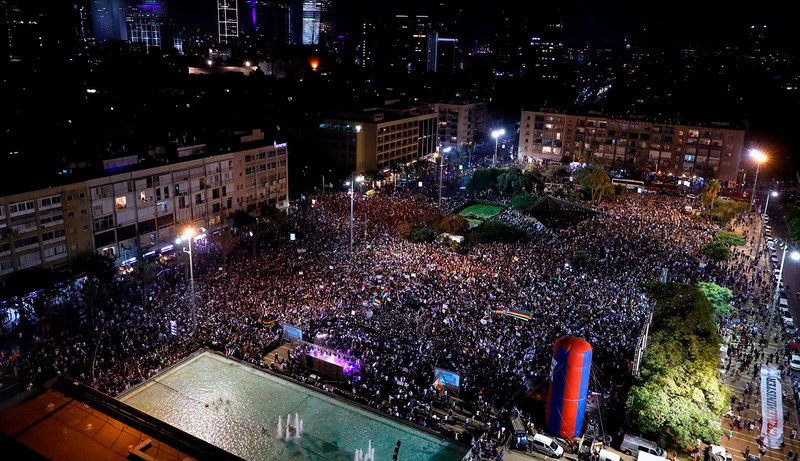 There’s plenty of good news—and, for Israel, plenty of risk. Chinese President Xi Jinping meets with Israeli Prime Minister Benjamin Netanyahu on May 9, 2013 in Beijing. Kim Kyung-Hoon-Pool/Getty Images. Arthur Herman is a senior fellow at the Hudson Institute and the author, most recently, of 1917: Lenin, Wilson, and the Birth of the New World Disorder (HarperCollins, 2017). In March 2017, President Xi Jinping of China hosted two important visitors from the Middle East. The first was King Salman of Saudi Arabia, whose country’s oil supplies are crucial to China’s energy and economic outlook. The second was Israeli Prime Minister Benjamin Netanyahu. Unlike Saudi Arabia—or Iran, or Iraq—Israel is one Middle Eastern country with no oil to offer China. Nor does it count China among the many customers for Israeli arms exports; to that prospectively lucrative arrangement, a 2005 dispute with the United States closed the door. Nor is there a large expatriate Chinese population in Israel clamoring for good relations with Beijing. Nor, in China itself, is there a Jewish community of any size whose interests an Israeli prime minister might deem a fit topic to bring up with his Chinese counterpart. Nonetheless, Netanyahu’s appearance in Beijing was more than a courtesy call, or an opportunity to discuss with an interested third party the changing shape of Israel-Arab relations (in which, coincidentally, the growing thaw between Jerusalem and Riyadh was playing a prime role). Instead, the visit was a ratifying event in one of the fastest-growing and most remarkable economic and political partnerships of the past two decades. In a joint statement after the visit, Netanyahu and Xi pledged increased cooperation in areas including “air-pollution control, waste management, environmental monitoring, water conservation and purification, as well as high-tech fields.” The statement also announced plans to create “a global technology center” and other joint projects in the area of innovation, with a standing invitation to Chinese companies to join in a variety of infrastructure projects within Israel itself. For his part, Netanyahu also expressed interest in Israel’s joining China’s massive multi-billion-dollar One Belt One Road project, and in signing a free-trade agreement between the two countries. There is certainly no denying that, in terms of trade and investment alone, the burgeoning economic partnership between Israel and China has at least the potential of transforming not only Israel itself but also Israel’s position vis-à-vis the rest of the Middle East—and most notably vis-à-vis Iran, which happens to be Beijing’s other key partner in the region. Inevitably, it could also have an impact on Israel’s relations with the United States. But is this a marriage made in heaven? Or is it something else? Weighing the answer to that question involves probing beneath the two countries’ currently successful dynamic of trade and commercial transactions to their respective geopolitical agendas. When it comes to Israel, the acknowledged junior partner, it also requires examining whether and how the relationship with China could become a dependency. Such a change might please Beijing, but it would impose on Israeli national security a new kind of vulnerability, one very different from the challenges it has faced successfully in the past. China and Israel established diplomatic relations in 1992, under the respective leadership of Deng Xiaoping and Yitzḥak Rabin. But the growth of Chinese investment in Israel and the expansion of Israeli business in China are products of the last decade and especially of the last few years. In 2016, for example, China’s annual direct investment in Israel almost tripled from the previous year to $16 billion. During Netanyahu’s March visit last year, the two countries signed no fewer than ten bilateral business agreements amounting to a total value of $25 billion. At this rate, China could soon overtake the U.S. as the number-one source of overseas investment in Israel. From Israel’s point of view, a turn toward China made good economic sense. At a point when the U.S. and Europe were still recovering from the 2008 financial crisis and growing at a snail’s pace, and when Europe’s relationship with the Jewish state was becoming increasingly tainted by anti-Semitism, Asia in general and China in particular looked like safe bets for trade. China could soon become the number-one source of overseas investment in Israel, and more than a thousand Israeli companies are now doing business in China. Both Israel and China are ancient civilizations but new countries, established within a year of each other. . . . From academia to tourism, from business to culture, relations on both the governmental and non-governmental level have been developing at an astounding pace, creating a sea change not only in bilateral ties but in Israel’s position in Asia in general. Despite the wide gap in size and population, this relationship is a win-win. Yet there is no denying that both sides see the relationship as mutually beneficial—and both seem eager to extend it. More than 1,000 Israeli companies are now doing business in China, and many of them are specifically tailoring their products to the Chinese market. Israel is also now a member of the Asian Infrastructure Investment Bank (AIIB)—a multinational consortium aimed at making China as powerful a global financial player as the United States. Jerusalem has even made gestures toward becoming a member of the Shanghai Cooperation Organization (SCO), Beijing’s bid to create a network of strategic cooperation and coordination, similar to NATO, extending from East and Central Asia to the doorstep of the Middle East. Current members of SCO include Russia, India, Pakistan, Kazakhstan, and Uzbekistan. Among the observer nations is Iran. Behind this relatively sudden leap forward is, as Abrams notes, Israel’s well-deserved reputation as a hub of innovation, entrepreneurship, and research, which it has leveraged as a drawing card for a number of Asian countries, including India and Japan as well as China. The image of Israel as the Start-Up Nation is especially attractive to China, with its long history of an economy dominated, or more accurately burdened, by state-owned companies. President Xi’s “Made in China 2025,” a visionary agenda announced at the 19th Communist-party congress a year ago, is explicitly aimed at developing a strong, entrepreneur-based economy, and both he and others responsible for China’s economic future have publicly articulated the hope that the Israeli entrepreneurial spirit will “rub off” on their own businesses and executives. How successful? Annual trade between the two countries has now surpassed $11 billion, a small figure when compared with China’s trade with the United States or Europe but fully 200 times larger than it was at the establishment of diplomatic relations in 1992. (In the same period, American trade with China grew only twenty times larger.) Chinese investment money has also moved aggressively into Israeli markets, from food technology and environmental and health products to computers and lasers. Annual trade between the two countries has now surpassed $11 billion, a figure 200 times larger than it was in 1992. The first major corporate foray of this kind was the 2014 acquisition of Tnuva, the largest Israeli dairy company, by China’s Bright Foods, followed four years later by the purchase of Ahava, maker of Dead Sea cosmetics, by the Chinese conglomerate Fosun. But nothing attracts China’s attention like Israel’s high-tech sector. The wave began in early 2010 with Yifang Digital buying up Pegasus Technologies, which develops and sells a digital pen for computers. Since 2014, Israeli companies snapped up by Chinese investors include TravelFusion, Natali HealthCare Solutions, and Alma Lasers. Meanwhile, Chinese Internet leviathans like Alibaba, Baidu, and Tencent Holdings are trolling for Israeli start-ups that can help them build new technologies to compete with Google and Apple. The flow of Chinese venture capital shows no signs of letting up. To help bring Israeli and Chinese companies together, a number of joint business events are now held regularly, and the mutual interest in research has also spilled over into academic cooperation. Last May, Alibaba’s founder and CEO Jack Ma and 35 other Chinese executives visited Israel with an eye (according to Israeli media) of setting up a major Alibaba research hub in the country. In 2014, Tel Aviv University announced that it would partner with Tsinghua University in Beijing to build the CIN Research Center with a focus on biotech, solar, water, and environmental technology. Two years later, the University of Haifa announced plans to build a joint laboratory at East China Normal University in Shanghai to research ecology, data, biomedicine, and neurobiology; all funding was provided by the Chinese government. In December 2017, an arrangement between Haifa’s Technion and Shantou University in southern China, funded by a $130-million grant from the Li Ka-shing Foundation and further bolstered by local public monies in China, came to fruition with the opening in Shantou of a joint campus for technological research. On the Israeli side, academic interest in Chinese culture and civilization has burgeoned via Asian-studies programs at the University of Haifa, Bar Ilan University, and Tel Hai College. Chinese government-funded Confucius Institutes—one of the major conduits of pro-Beijing information and propaganda around the world—now operate at both the Hebrew University of Jerusalem and Tel Aviv University. Daniel Galily, an Israeli expatriate who has lectured in business at Beijing Geely University, sees a perfect complementarity at work in this growing meeting of Israeli and Chinese minds: “The educational system in China places great emphasis on discipline and obedience to superiors, while the Israeli educational system and the Israeli army encourage students and soldiers to think about new ideas, and to solve problems in situations of uncertainty.” Thus do the Chinese integrate Israeli creativity and innovation into their business enterprises while Israeli start-ups and entrepreneurs learn from their Chinese partners about long-term horizons and workforce organization. The arrangement may not be perfectly symmetrical, but few are pausing to contemplate its potential imbalances—a judgment that can be made about more than one aspect of this marriage. Indeed, the China-Israel relationship runs much deeper than business. China has taken on a staggering number of infrastructure projects around the world in recent years, and Israel is one of its important venues. “This is an historic moment,” Prime Minister Netanyahu announced a year ago as he and Chinese executives laid the cornerstone of a new multi-million-dollar seaport at Ashdod being built by a Beijing-based harbor-construction firm. At $3 billion, this is one of the biggest overseas investment projects in Israel, ever—and also one of the biggest for the Chinese company, China Harbor Engineering. For Israel, one of those presumably eager countries, Beijing has very special plans. It sees the Jewish state as an important link in the even larger China-dominated trading chain mentioned earlier: the One Belt One Road Initiative (OBOR) extending from the Indian Ocean and central Asia across the Middle East and thence to Europe. Xi hopes that OBOR will generate $2.5 trillion in trade for China over the next decade, with Ashdod serving as a crucial port of destination for seaborne trade with Europe. Beijing sees the Jewish state as an important link in a massive China-dominated trading chain extending from the Indian Ocean and central Asia across the Middle East and thence to Europe. As a partner in construction projects, China brings big advantages: large pools of available capital, shorter set-up time, and faster construction of plant and infrastructure projects, often carried out by Chinese workforces brought in for the purpose. In Israel alone, according to a report by Israel’s Institute for National Security Studies, “China is involved in . . . digging the Carmel tunnels in Haifa, laying the light rail in Tel Aviv, and expanding [both] the Ashdod and Haifa seaports”—and is also entering the residential construction industry. One outstanding example of Chinese capital helping to meet Israeli needs while also serving larger Chinese interests is Beijing’s involvement in the so-called “Red-Med” project, a 300-kilometer rail line linking the port city of Ashkelon, just fifteen miles south of Ashdod, to the Red Sea. The Israeli government, which has deemed “Red-Med” economically essential to the country’s future, responded enthusiastically to China’s offer to provide experienced labor and an approximately $2-billion investment. From China’s perspective, however, “Red-Med” forms only one node, albeit an important one, in the network of high-speed rail lines it intends to build across Southeast Asia, Africa, and the Middle East as well as in China itself. In short, OBOR subsumes Israel-based infrastructure projects like the Haifa and Ashdod port constructions and Red-Med within an ambitious trans-Asian strategy to pursue three key resources for China’s future greatness: petrochemicals, consumer markets, and advanced technology. Oil and gas imports by China from the Middle East—including, some Israelis hope, from Israel’s own recently discovered offshore natural-gas reserves—fulfill the need for the first resource. As for consumer markets in the Middle East itself, countries with large populations like Iran, Saudi Arabia, and Egypt are seen as targets for China’s export industries in everything from consumer goods and electronics to weapons systems. Where Israel occupies a unique place is in the pursuit of the third resource: advanced technology that can help spur China’s economic growth while also serving its defense and security needs thanks to the elementary fact that commercial technologies—from solid-state sensors to high-end electronic components and advanced lasers—are as essential to military affairs as is any technology usually deemed strictly military in nature. Petrochemicals, consumer markets, and advanced technology: each “plays a role in a broader policy set down in Beijing,” noted the China and Middle East expert Sam Chester in an interview with Diplomat magazine this past August. And China clearly views Israel as an element in that broader policy—a policy that takes advantage of the great-power vacuum left by the U.S.’s declining interest in the Middle East as a whole. Right now, unlike Russia in Syria, Beijing has tried largely to steer clear of involvement in regional conflicts—let alone acting as mediator or honest broker. 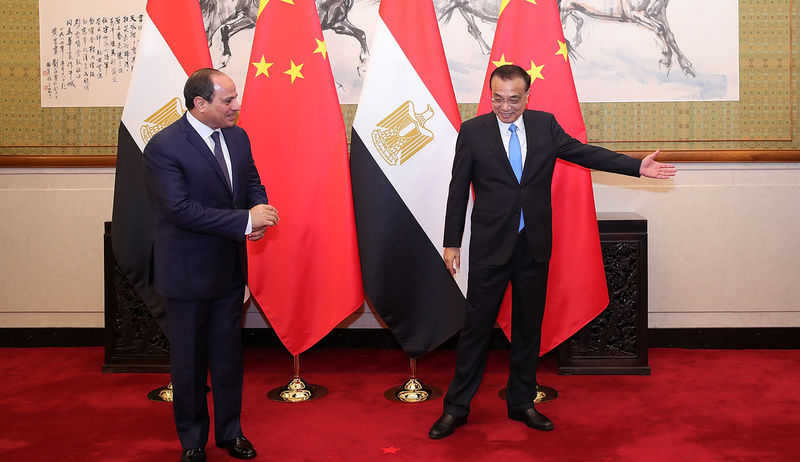 But in Xi’s words, “A peaceful, stable, and developing Middle East meets the common interests of all parties including China and Israel.” To that end, collaborative Sino-Israeli efforts also include counterterrorism and anti-piracy operations, as well as economic support for Arab countries. Beijing looks to Jerusalem to provide advanced technologies in agriculture and manufacturing to secure the industrialization and social stability of the region—once again in the context of OBOR’s larger goal of making China the dominant player in the global economic scene. Meanwhile, closer involvement with China seems to offer Israel the promise of enhanced security for its own regional activities. But does it? To raise the issue of the two countries’ involvement in the highly delicate area of defense trade and security cooperation is to engage a highly fraught issue indeed—and one that makes the U.S., still Israel’s most important ally, distinctly uneasy. The history here is instructive. In July 2000, American pressure forced Israel to abandon signed agreements to supply China its “Phalcon” airborne tracking system for reconnaissance aircraft. This was an agreement valued up to $1 billion; indeed, China had already begun making payment on the project, in which Israeli high-tech avionics would be installed on a Soviet-built transport plane long in use by the People’s Liberation Army (PLA). The deal did not involve transfer of any American technology. Nevertheless, Washington firmly objected to it on the grounds that Phalcon’s early-warning system could be used to clear the way for a Chinese attack on Taiwan. Israel was forced to back down, and the cost was heavy: Israel had to pay a large penalty for reneging on the transaction, and its fledgling relations with China turned sour. The same three-way tension over advanced weapons systems came to a head again four years later with regard to the unmanned “Harpy” aerial anti-radar system. The Harpy is a drone aircraft, with an impressive range of more than 300 miles, that seeks out and destroys radar installations. Israel Aerospace Industries (IAI) had sold about 100 of these delta-winged drones to China for more than $50 million in the mid- and late 1990s. At the time, American officials made no protest since the drones did not incorporate U.S. technology. But in 2004 the George W. Bush administration did object to a deal that would add new components to the Harpy system. The reasoning again centered on the potential threat to America’s ally Taiwan: in the event that Beijing were to undertake an attack on the island nation, these advanced components could be used to guide ground-launched missiles aimed at wiping out its air defenses and could also target U.S. forces moving up in aid of the Taiwanese. Israel had described the new components as spare parts. The U.S. argued instead that they amounted to a significant upgrade that would dramatically improve the drones’ ability to home in on Taiwan’s radar system—and that Israel had ignored a previous U.S. request that Israel halt all military sales to Communist China. From the American point of view, the new Harpy deal was a slap in the face; from Israel’s, it was another agreement with China that Israel had to ditch in order not to strain relations with its older and more important partner. And once again a high price was exacted for Israel’s transgression. As punishment, the U.S. suspended Israel from the coveted F-35 Joint Strike Fighter project and demanded (and won) the resignation of General Amos Yaron, director general of Israel’s defense ministry. A few months later, Israel was allowed to rejoin the project but at the cost of the Pentagon’s establishing a special office to monitor Israel’s transfer of the Joint Strike Fighter’s advanced technologies. The Chinese, for their part, furiously denounced Washington’s “carping” and “outside interference” in the Harpy deal, while declaring that cooperation “in every respect” between Israel and China was good not only for the two countries involved but also for the prospect of peace and stability in the Middle East. Nor, Beijing lectured the Americans without mentioning them by name, did such cooperation harm the interests of other countries. There are ironies galore in this saga, the biggest of which is that, during the cold war with the Soviet Union, Washington had encouraged just this sort of cooperation between Israel and China. In that sense, the Israel-China security connection might be seen as a product of U.S. policy itself. The early history of that connection dated back to the aftermath of the 1967 Six-Day War. Thanks to its overwhelming victory in that conflict, the IDF found itself in possession of vast stockpiles of captured Soviet-made weaponry and began looking for potential buyers. One was China, whose military equipment was itself Soviet-made. Secret talks were opened, but little happened until after Washington’s own opening to China in 1972. In February 1979, a top-secret delegation of Israeli defense officials arrived at a military base on the outskirts of Beijing. The team was led by the Polish-born tycoon Shaul Eisenberg, who during World War II had fled Europe to the Far East and later built a financial empire there before settling in Israel in the mid-1960s. From that initial meeting, Eisenberg returned to Israel with a Chinese shopping list that included missiles, radar, artillery ammunition, and tanks. Over the next year, Israeli officials made several additional trips, some involving undercover flights of Israeli Air Force planes. The first shipment of tank munitions arrived secretly in 1981. Subsequently, Chinese officials, even as they refused to come to Israel, would sign hundreds of millions of dollars’ worth of arms contracts. According to the late Asia scholar Peter Berton, Israel modernized and retroﬁtted thousands of Soviet tanks that were then put on display in China’s National Day parade in October 1984—with no mention made of their actual origin. It was the Chinese, not the Israelis, who wanted to keep the growing partnership secret, since Beijing was still not prepared to recognize Israel officially. Nonetheless, ties between the two nations continued to grow, and by 1990 each maintained an unofﬁcial mission in the other’s country—all with Washington’s knowledge and tacit approval, not least because the Israel connection provided a backdoor channel through which to strengthen China’s military capabilities vis-à-vis the Soviet Union. Even after the end of the cold war, Washington continued tacitly to approve. In October 1993, a year after the establishment of formal diplomatic relations, Israel’s Prime Minister Yitzḥak Rabin conducted his first official trip to China. There he met with President Jiang Zemin, while, no less significantly, Shabtai Shavit, the head of Israel’s foreign-intelligence service, met with his own Chinese counterpart. Arms sales between the two countries soared. Among the weapons exported by Israel to China were the Harpy UAV’s and Python-3 short-range air-to-air missiles that China would rename the PL-8. 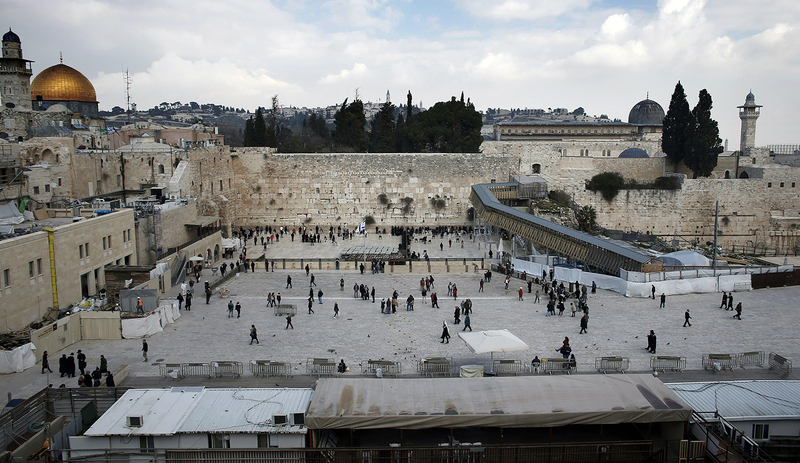 Based on its growing assessment of China as an emerging security threat, Washington intervened to impose major rifts between Jerusalem and Beijing. No wonder, then, that to Israel the 2000 Phalcon deal and the 2004 Harpy upgrade agreement seemed merely a case of business as usual. But now Washington’s intervention, based on its new assessment of China as an emerging strategic threat, led to a second major diplomatic rift between Israel and China. Once again, however, time served to heal these setbacks even as Washington’s alarm at the rise of Chinese power grew more urgent. In March 2010, almost six years after the Harpy debacle, Chinese military officials and their Israeli counterparts renewed their security relationship in a first-time visit to Israel by a delegation of Chinese military officials, and seven months later in a reciprocal IDF visit to China led by Brigadier General Avi Benayahu. The latter resulted in an agreement to provide select training for PLA officers at IDF facilities. Subsequently, the PLA’s chief of staff, General Chen Bingde, visited Israel to open discussions on joint manufacture of commercial-aircraft components, and in January 2016 Israel Aerospace Industries announced the formation of a joint venture with the Lingyun (Yichang) Science and Technology Group to establish a local maintenance, repair, and overhaul enterprise in Hubei Province—the first truly public instance of cooperation between the Israeli and Chinese defense sectors since the cancellation of the Harpy upgrade. Throughout, Israel has been careful to abide by the agreement with Washington not to sell defense equipment to China. That agreement, however, does not prevent the Israeli military from buying equipment from China. Reportedly, both the IDF and the Israeli police have purchased Chinese-made drones that take part in non-classified operations by Israeli ground forces; the IDF has reportedly sought as well to acquire 200 additional drones and spare parts pending completion of a project to develop an Israel-made drone with similar capabilities. This, too, is a breakthrough: the first time actual Chinese defense equipment has been used by Israeli security forces. There is no reason to believe it will be the last. The U.S.-imposed halt in direct arms sales to China has thus had at least one unanticipated consequence. Since they cannot buy defense equipment from Israel, Chinese companies with links to the country’s military have looked to civilian technologies instead, particularly those adaptable to military use. It hardly seems coincidental that China’s high-tech wooing of Israel was preceded by the renewal of the two countries’ security relationship in 2010. That relationship is also directly aligned with China’s self-imposed mandate to become a global leader in industrial technologies by 2025—very much including those technologies that can significantly boost its military might. It is abundantly clear what China wants from its growing ties with Israel: high-tech leverage and a strong geopolitical presence in the Middle East. The remaining question is what Israel wants, and what, for better or for worse, is involved in getting it. Israel wants capital, clearly, and a booming market for export sales—especially as a hedge against the threatened (if so far unlikely) possibility of European divestment. No less clearly, Israel has strategic considerations in mind, many of them connected with the dangerously chaotic aftereffects of the withdrawal of American power from the region. But Israel is also very much aware of the risks that loom in its embrace of Beijing. One obvious risk has to do with China’s continuing relationship with Iran, from its dependence on Iranian oil and on the Iranian strategic presence in the vital Hormuz Straits, to its ongoing support for Iran’s development of ballistic missiles, to its long history of enabling Iran’s nuclear program. At the same time, Israeli officials believe (or hope) that they can influence Beijing to restrain Iran’s missile programs and curtail Tehran’s support for terrorist groups in the region. Israeli leaders have been quick to take advantage of the leverage Beijing has in Tehran, so much so that in recent years China’s support for restricting Iran’s nuclear program has been credited in part to intervention by Israel—including threats by Israeli leaders that if left with no other option, they will unilaterally attack Iran, a risk that would destabilize Chinese objectives in the region. But it remains to be seen how much influence Israel actually can wield. Certainly its relationship with China hasn’t led to any significant change of Beijing’s lockstep hostility to Israel’s management of the Palestinian issue. (With India, by contrast, Israel has had greater success on this front.) Although Netanyahu has voiced the expectation that closer ties would lead to a friendlier China in the UN, so far that hasn’t materialized, either. In August, it was reported that China has offered to send troops to Syria to help the Assad regime—another indication of Beijing’s confidence that it is free to pursue its geopolitical priorities as it alone sees fit. The Harpy incident offers a good illustration here. Two decades after Israel sold the original system to China, it was revealed that, at an international defense exhibition in Abu Dhabi, the Chinese had unveiled their own version of the killer anti-radar drone that bore an uncanny resemblance to the original Israeli design. As an export item on the international market, the new ASN-301 will be going head to head with its Israeli forebear—with the added advantage of China’s highly favorable financing arrangements for foreign arms customers. China’s huge investment in Israel’s largest port is a reminder of its keen interest in establishing a strategic foothold in the eastern Mediterranean as a whole. Nor, where bilateral American and Israeli interests are concerned, has there been the slightest check on other Chinese regional ambitions, preeminent among them Beijing’s keen interest in establishing a strategic foothold in the eastern Mediterranean through the port of Haifa. China’s investment in Israel’s largest port has reminded observers on the American side not only that Beijing makes no distinction between investment in military and investment in civilian infrastructure, but that its vast military-modernization program, which has thoroughly transformed the capabilities and battle readiness of its armed forces, and whose geographic reach extends from artificially created islands in the South China Sea to a naval base in Djibouti at the mouth of the Red Sea, is focused among other areas on specifically maritime missions. Israel is working itself out of . . . cooperation [with the U.S.] because of the significant Chinese presence and role in Israel’s ports and the infrastructure that will be in place there. If asked whether the U.S. should forward-deploy U.S. Navy ships in Haifa port, which will be operated by the Chinese, I would recommend against that. The Chinese port operators will be able to monitor closely U.S. ship movements, be aware of maintenance activity, and could have access to equipment moving to and from repair sites and interact freely with our [Israeli] crews over protracted periods. Significantly, the information systems and new infrastructure integral to the ports and the likelihood of information- and electronic-surveillance systems jeopardize U.S. information and cybersecurity. The speaker, Shaul Chorev, a former deputy commander of Israel’s navy, is one voice in a small but growing chorus of retired Israeli national-security officials warning that China’s heavy involvement in Israeli infrastructure projects could lead to conflict with the United States. In late 2013, the former Mossad director Efraim Halevy similarly argued that “China’s holding the trans-Israel railway, owning it and operating it, will not be understood by the U.S.” He also pointed to the danger of Chinese control of “political and economic pressure points” within Israel. Analogous worries are present in Israel’s financial sector and elsewhere in areas of public concern. China’s safety record on industrial projects, whether at home or abroad, is less than reassuring. A few examples from the domestic scene: the Wenzhou high-speed train collision in 2011 that killed 40 and left 210 injured; the 2014 auto-parts factory fire in Kushan that killed 68; the 2015 explosion at a chemical storage plant in Tianjin that cost 173 lives; the Qingdao oil-pipeline disaster that left 62 people dead. These hardly reflect well on the ability of Chinese companies to look out for their own workers’ welfare, let alone that of foreign citizens. No wonder, then, that the Association of Contractors and Builders in Israel has lobbied against Chinese involvement in construction and infrastructure projects, while labor unions, for their part, are alarmed that the Chinese workforce brought in for these projects will undercut wages across the board. Where the Israeli government is concerned, the potential leverage over Israel’s internal affairs gained by Chinese companies and their masters in Beijing could become a source of serious future friction that could in turn bear directly on the country’s security. Thus, Dorit Salinger of Israel’s finance ministry has repeatedly blocked the sale of the Phoenix and Clal insurance companies to Chinese companies, citing fears of foreign control over hundreds of billions of shekels of Israeli pension funds. 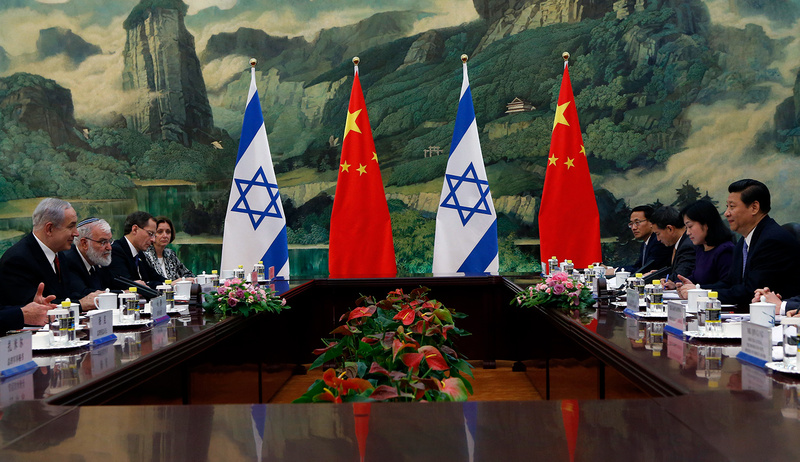 As the China-Israel nexus tightens, such concerns are only likely to grow. So far, as Elliott Abrams notes in his report for the Council on Foreign Relations, the anxieties of Israel’s skeptics have been outweighed by the optimism of those who see the commercial advantages of strong ties to China—the same optimism that American politicians and businessmen voiced about China until a decade ago, but that has since shifted dramatically. At the very least, however, Israel now fully shares the same “China problem” that to one degree or another affects the United States and the rest of the world: the root problem, that is, of China’s rise as a major global economic and strategic power, with all of its consequent disruption and dislocation of the world system. It has simply taken longer for the problem to reach Israel; but it is there now, with a vengeance. How Israel handles its “China problem” will critically affect its relations with the U.S., its most powerful ally and partner. How things turn out will depend not only on how Israel handles the challenge but also on the reaction of the U.S., Israel’s most powerful ally and partner. In addition to the strategic challenges posed by China’s growing presence in Israel itself, including in the ports of Ashdod and Haifa, American policy-makers are haunted by the possibility that, ban or no ban on defense sales, Israeli technology will ultimately find its way into the hands of the Chinese military. Israel today boasts no fewer than 430 companies for whom a core part of their business is artificial intelligence and/or machine learning; taken together, they have raised more than $7.5 billion in investment capital. 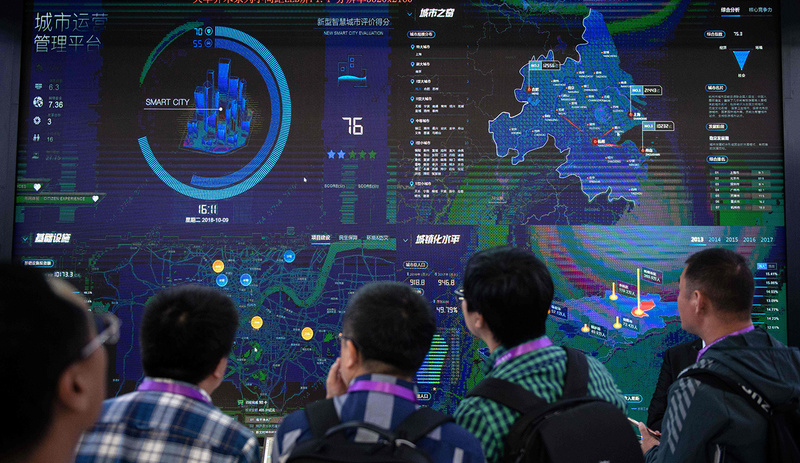 China has not yet been a significant investor, but China’s TechCode Israel, an innovation center aimed at promoting Sino-Israeli high-tech collaboration, has launched an initiative called Path to China to encourage Israeli artificial-intelligence and big-data companies to enter the Chinese market. The Pentagon is increasingly worried that artificial-intelligence capabilities acquired by Chinese firms through civilian investments or licensing deals could find their way into a new generation of Chinese weapons that would threaten American troops and American allies. The Pentagon is also worried that Israel could become a back door through which China could acquire capabilities that it could not get in the U.S. due to regulatory scrutiny. If an American pilot were ever shot down by a Chinese missile powered by Israeli technology, it would be a real problem for the Israeli government. That’s a scenario that no Israeli or American official cares to contemplate—one that would turn both countries’ “China problem” into a genuine crisis in U.S.-Israel relations. 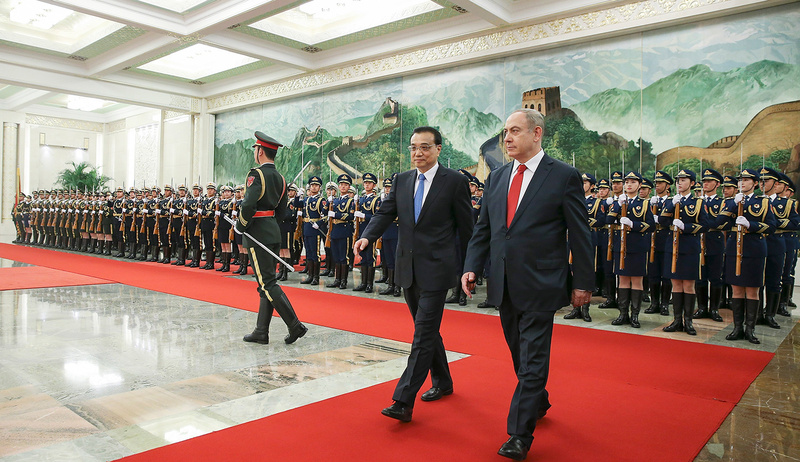 Today, Israel is making a high-risk bet that it can walk the tightrope between its alliance with the U.S. and China’s ambitions, and maintain warm and lucrative relations with both. But that bet could end badly. Speaking on October 4, Vice-President Mike Pence bluntly made clear the extent to which Washington has become alert to the gathering Chinese threat. The United States, Pence said, “had hoped that economic liberalization would bring China into a greater partnership with us and with the world. Instead, China has chosen economic aggression, which has in turn emboldened its growing military” and its designs for displacing the U.S. as the world’s dominant superpower. In particular, Pence noted, “Beijing has prioritized capabilities to erode America’s military advantages on land, at sea, in the air, and in space.” Should the U.S. conclude that Israel has had a role in enhancing those capabilities, the result could be sanctions against its high-tech companies or even a curtailment of annual military aid to Israel—including, it would appear, by the Israel-friendly Trump administration. In the end, however, let’s not lose sight of the real issue, which is not Israel or the Netanyahu government but what to do about China and its untrammeled drive for unsurpassed economic and geopolitical power—the colossus not only of Asia but of the globe. Beijing has already managed to sweep a series of less developed countries into its imperial orbit, including Pakistan, Sri Lanka, and several countries in Africa where it has become the continent’s single largest trading partner. Similarly, by providing the funding and infrastructure for Chinese-made advanced wireless 5G technologies in such far-flung places as Mexico, Turkey, and even Italy, China is set to gain unprecedented control over how citizens elsewhere will gain access to the Internet in the near future. Will free, democratic Israel, with all of its savvy and its redoubtable instinct for self-reliance, be able to resist the temptation of becoming part of China’s imperial orbit? If not, what hope does the rest of the West have, and where, not only in the Middle East but around the world, will the future of liberty and democracy find shelter?